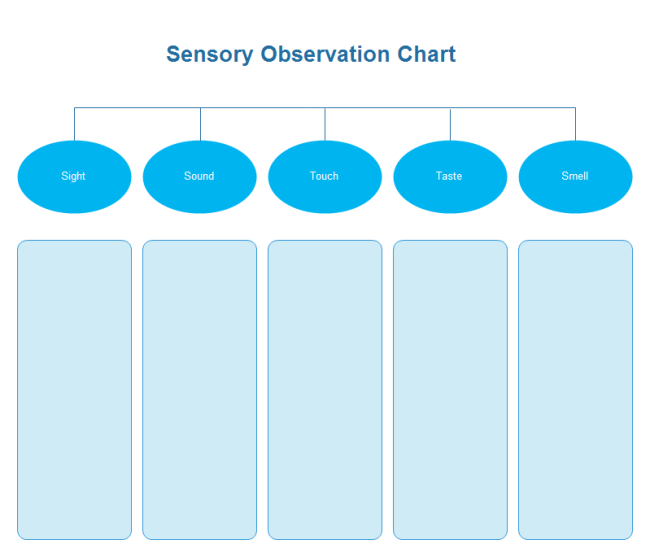 Printable observation chart templates for science class. They are not simple black and white, but designed with color and style. Good quality observation charts for free download. Teachers sometimes need to prepare lots of materials such as worksheets and teaching ppt. Ready-made templates could save lots of time and energy so that they could focus on more important things. These observation chart templates are prepared for science teachers when they ask students to write an observation journal. 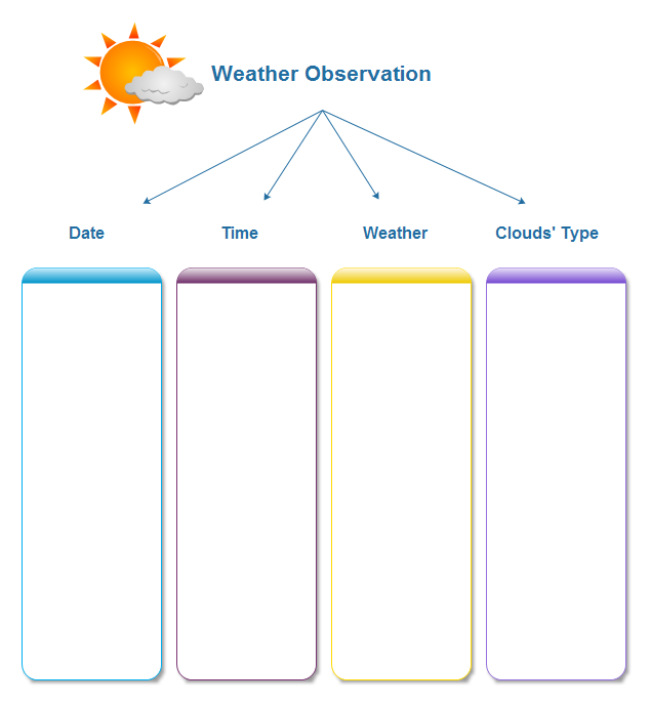 There are four observation charts here, which you can use for weather observation, plant growth observation, weekly observation journal, and sensory observation. Click on the item of your choice to open a new page and access the PDF and EDDX download link. Download the PDF format you can directly print the templates. Choose the EDDX format you can edit the templates (change color, content, style, layout, background etc). To edit the templates, you need to install an Edraw first. When you finish editing, you can export the file to PPT, PDF, Html, PNG, SVG, and more formats seamlessly. 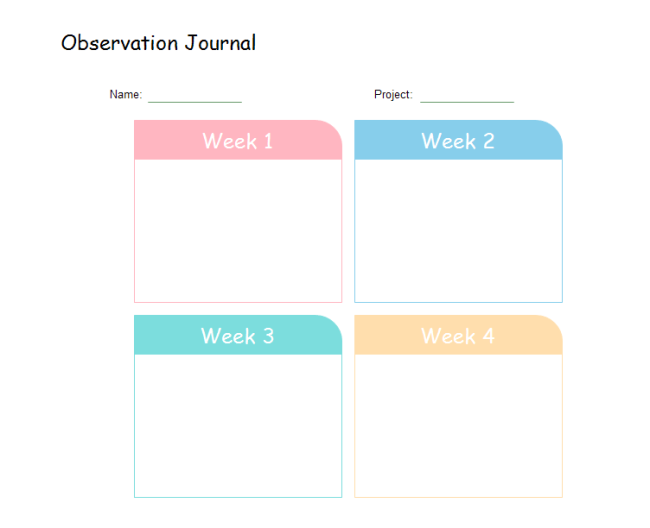 You can use the observation journal template to record daily, weekly, or monthly observation diaries. You can change the title according to your topic. 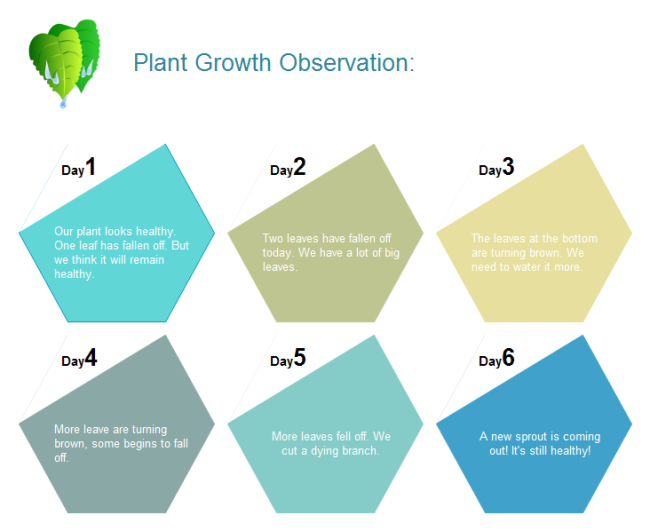 This plant growth observation chart template is used for recording plant growth change. Write down what you have observed each time and see the plant growing process. Students use this sensory observation chart to write down what they have seen, heard, felt, smelt, or tasted about a particular object. It's mostly used in chemistry classroom. Download this weather observation chart for observing weather changes.